First decide whether you want to disable SELinux ﻿﻿temporarily (e.g. to debug a problem), or to switch it off permanently. With the first approach SE Linux will be up and running again after you reboot. Next decide whether you want to make SE Linux allow all operations but still log warnings and keep track of file labels in the background (“Permissive” mode), OR completely turn it OFF (“Disabled”). ATTENTION: Switching SELinux off if your computer is connected to a public network (directly connected to the Internet) is NOT recommended! In theory, a better approach is to make changes to the app policy to permit the operations that are being blocked – but this requires knowledge of writing policies and may be a steep learning curve for some people. We will NOT discuss here this approach (changing the policies). We will look at the two methods of disabling SE Linux globally. This will switch the SELinux kernel into a mode where all operations are allowed, but a warning message will be logged for any operation that would otherwise be denied. 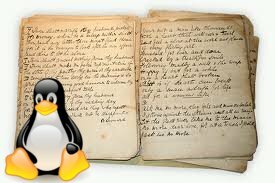 The mechanism that controls the permissions/policies of the files is still active and if at some future time you decide to re-enable SE Linux it can easily be done. Change it to SELINUX=permissive, save and reboot. With this approach SELinux is completely disabled in the kernel. All operations are allowed and the process which decides how to label files & processes is also disabled. Help! I don’t have a /etc/selinux/config file! Some Linux distros don’t have the /etc/selinux/config file. In this case you will need to edit the kernel boot line. Most systems nowadays use GRUB, so edit the /boot/grub/grub.conf file (if you’re using the GRUB boot loader. For LILO and other bootloaders apply the same logic but you will have to read their man pages to see where to find the kernel boot line to edit it). Ok, so in the config file, on the kernel line, append either enforcing=0, to switch into permissive mode or selinux=0 to disable selinux.